Digital marketers now also have to find ways to reach consumers across multiple different channels and devices. Tracking a user from laptop to smartphone to tablet and adjusting messaging accordingly can be a significant technological challenge, which may be why so many brands haven’t yet found a solution. It’s also created an incredible opportunity to target consumers more precisely than ever before. If the old days of reaching a mass audience on TV are over, so are the old days of having no real sense of who all those people are. Because marketers now have so much data on users — from the pages they visit, to the items they search for, to the devices they’re using, to the social graphs they share with — they can target messages more precisely than ever before. To take a simple example of a practice known as site retargeting: If you look at an H&M oxford shirt and then surf around to other sites, you might well encounter a display ad for the very shirt you just looked at. Search retargeting is another increasingly popular technique. Whereas site retargeting is designed to increase revenue from someone who has already visited your site, search retargeting makes it possible to find new customers based on their search history. Someone who searches for “oxford shirts” on Google might then surf to another site and discover display ads for H&M oxfords — despite never having visited H&M’s own site. If precise targeting of this kind is a fundamental part of programmatic buying, it’s not the only part. The other half of the equation involves delivering these targeted ads in real-time. 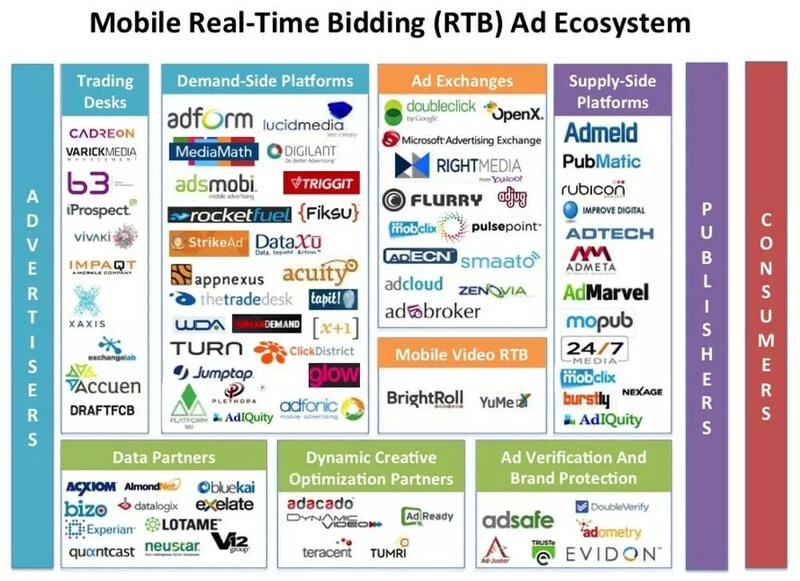 Real-time bidding on display ads enables buyers to choose how much they’re willing to pay to reach their targets and then to reach them instantly — that is, if they’ve got the winning bid. Consider that H&M oxford that you keep seeing across the Internet as you browse. After seeing those display ads on ESPN, you might check Facebook, where an ad reveals that dozens of your friends are H&M fans. Then you might head over to The New York Times where you encounter yet another ad for the oxford, this time with an offer of a 10 percent discount. Your confidence in the purchase is strengthened at each step. This cycle, repeated over and over, delivers a better ROI for the marketer and higher CPMs for the publisher. Everyone wins. The success of programmatic buying raises an obvious question for digital marketers: Why should all of these great technological advances be limited to display advertising? After all, anytime marketers are delivering content, they can benefit from the same automated targeting that makes it possible to guide users through the buying process with personal and relevant information. Not surprisingly, programmatic marketing is quickly expanding beyond display advertising. Never mind the one-size-fits-all newsletter. Tech-savvy marketers are now serving hyper-targeted offers through email. For example, if you’re in e-commerce and you know an email subscribers just looked at your product page, you want the next email that user receives to highlight that product — and you want that email to arrive sooner rather than later. Meanwhile, if someone on your list has just read an online review of your product, you want to make sure you’re a part of the conversation by instantly sending that user accurate product info. All these automated messages going out to be customized for different channels. Today’s shoppers are carrying smartphones, meaning there’s a huge opportunity for point-of-sale offers and coupons. Some shoppers are now even using their phones to access discounts based on the aisle they’re in. But an offer made at the point of sale might need to be very different from an offer made when someone is browsing from their desktop at work. And the offer might be most effective if it’s customized again for evening shopping on a tablet at home. And if that’s not already making your head hurt, keep in mind that the broader messaging needs to remain consistent even as the offers change. It might all sound a little daunting. But we also know that the rewards of programmatic marketing – increased performance and lower costs – can be huge. Ben Plomion is director of marketing and partnerships at Chango, a search-retargeting company.